Back to school time is officially here. In all honestly it probably returned in early July according to the retailers. We all make mistakes. I know I’ve made at least one in my life 🙂 Why not equip yourself with a Player Eraser from the It’s Academic line of school supplies? That’s if you can still find one. It’s Academic has been around for over twenty years. They make tons of stuff that can be used in a school or office environment. Book covers, locker accessories, and scissors are just a small taste of what they make. Over the past two decades, they’ve worked with all kinds of name brands to help sell their products. At one time (it doesn’t look like it anymore) they had a deal with the MLBPA. One of their products to come out of this deal was a line of Player Erasers. These are exactly what they sound like. Pencil erasers in the shape of your favorite baseball players. The checklist features twenty players, which seems a lot more extensive than what you’d expect from a product such as this. Seeing that the deal was only with the MLBPA and not MLB, team names and logos had to be left off. I see them as more of a novelty than anything. A good conversation piece to sit on your desk. As far as functionality, I’m not 100% sure how well they worked as an eraser. On the back of the package, they advise you to rub the portion of the eraser you plan to use on a piece of scratch paper first in order to remove the decorative coating. Otherwise you’ll end up with streak marks. Given the checklist, I’d say these were released in the late 90’s. Before OYO and C3 Toys showed up, the only sports licensed minifigures on the block came from a team-up between LEGO, Upper Deck, and the NBA. This all took place between 2002-2003. It was a short-lived relationship, but created some unconventional items that can easily stand out in your basketball collection. LEGO made a handful of NBA licensed building toys. Some contain generic NBA minifigures, while others are player specific. A majority of the player specific minifigures can be found in the NBA Collector Sets. 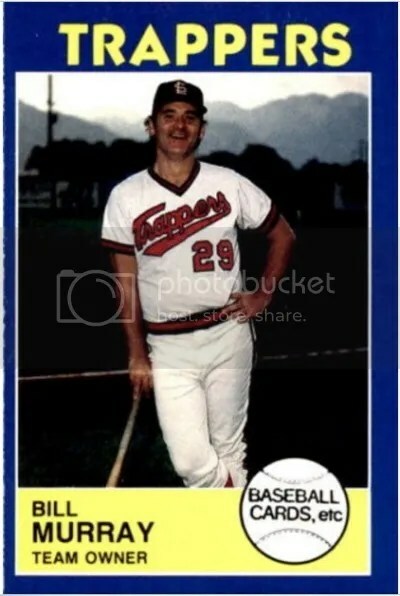 Instead of using a regular photograph, I think Upper Deck should’ve used an animated image of the player’s LEGO minifigure. That would’ve been something different, at least for the autographs. Its no secret that box prices can get expensive. Sometimes an older product might take care of that pack busting itch for a much lower cost. Just because that new box guarantees ten “hits” doesn’t mean you’ll come close to pulling something anywhere near what you paid. 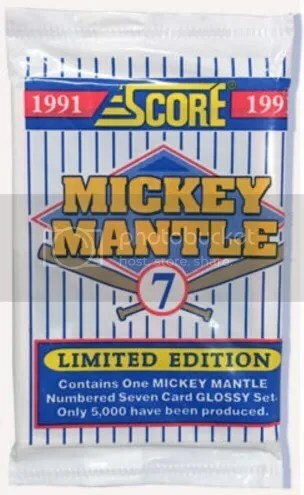 One “hit” from an older set could easily be better than ten from that newer product. If you’re looking for an affordable box from the 90’s that has an autograph checklist which hasn’t dwindled, I’d suggest 1998 Upper Deck SP Authentic Baseball. 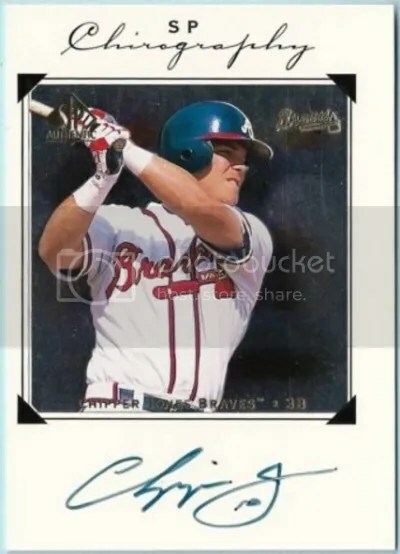 Upper Deck introduced the high-end SP brand in 1993, but in 1998 they changed the name to SP Authentic. This was mainly due to each box containing an autograph. The 1998 SP Authentic set consists of (198) base cards. I really like the way these look. They’ve got a foil-photo in the middle which is then surrounded by an all white border. Magglio Ordonez is the most notable rookie of them all. David Ortiz has a somewhat popular second year card too. As far as inserts go, there really is only one – Sheer Dominance. These come in Silver, Gold #’ed/2000, and Titanium #’ed/100. What you’d be opening a box for would mainly be the autograph. Glancing over the checklist you’ll notice its fairly solid. Of course there are some duds, but what product doesn’t have those? Key autographs include Alex Rodriguez, Chipper Jones, Gary Sheffield, Ivan Rodriguez, Ken Griffey Jr., Mike Mussina, Mo Vaughn, Nomar Garciaparra, Paul Molitor, Roberto Alomar, Roger Clemens, Scott Rolen, Tony Gwynn, Todd Helton, and Vladimir Guerrero. Every Chirography autograph is signed on-card. Upper Deck included various Trade Cards for oversized 5″ x 7″ jersey cards as well as full size autographed memorabilia. If this were 1998, you could redeem them. Given that they’re nineteen years old, I highly doubt you could receive anything for them today. On the bottom of the box, Upper Deck lists how many of each Trade Cards was made, and the approximate retail value of that item. Browsing over this price list is fun. I certainly wouldn’t use it as an official guide though. There is no way to know if everything on that list was even redeemed. Quantities could be lower. If you’re patient, boxes can be found for $50. Throughout the summer I usually attend a handful of minor league games. My main focus is on bobblehead giveaways. As of right now, I’ve got tickets for the Harrisburg Senators and Lancaster Barnstormers. The State College Spikes only have one bobblehead giveaway on their schedule so far, and its at the end of the season during the week. I’m waiting for the Williamsport Crosscutters to post their promo schedule. It drives me crazy when teams giveaway bobbleheads during the week. I suppose it helps boost weekday attendance. The first time I attended a professional baseball game was in 1997. 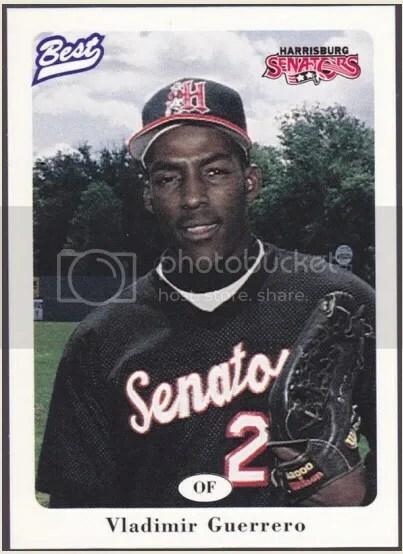 It was on City Island to watch the Harrisburg Senators take on the New Haven Ravens. One of the Ravens players even gave me a broken bat as he walked by. To this day, I still don’t know who that player was. I like to think it was Todd Helton, but I believe he was in Triple-A by then. Upon arriving to the game, I remember stopping at a souvenir booth. It wasn’t a store that you could walk around in. You’d walk up to the counter and tell the person working what you wanted to buy. All of the items for sale were on display behind the employees. Team sets for the 1997 roster hadn’t been released yet, so I picked-up one from 1996. It consists of (29) cards. The two most recognizable names you’ll find in there are Vladimir Guerrero and Jose Vidro. Both had long and successful careers in baseball. A complete set can easily be found for $10. It probably would be worth a lot more if these would’ve been the first cards of Guerrero and Vidro. Vladimir Guerrero and Jose Vidro already had cards in nationally issued sets. Guerrero in 1995 Bowman’s Best, and Vidro in 1993 Bowman. Yep. I’m off the reservation with this one. By now you can clearly see this is not a box of baseball cards. 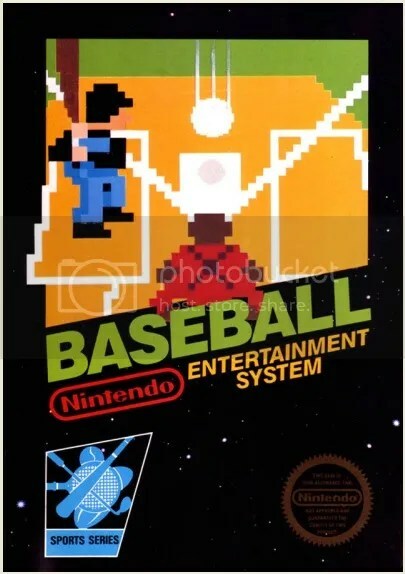 When Nintendo introduced the NES to the United States in 1985, Baseball was one of the first games you could play on it. Despite not having an MLB license, Nintendo brought in actual Major League Baseball players to show off the game during the test market launch. Many accredit Baseball as one of the main reasons why the NES was so successful, given the sport’s overall appeal. Compared to baseball video games today, Baseball for the NES is basic. Although there was no license, the initials of the teams are suppose to represent real teams from the Japanese Central League or American Major League. Retro gaming is popular today. NES collectors are willing to spend well into the hundreds of dollars for sealed games such as this. Out of the box and used copies can easily be found for under $10. While attending the National a few years ago, I remember seeing an autographed photo of Mike Tyson. It wasn’t just any photograph though. This was a screenshot from the NES game Mike Tyson’s Punch-Out!!! That really caught my attention. 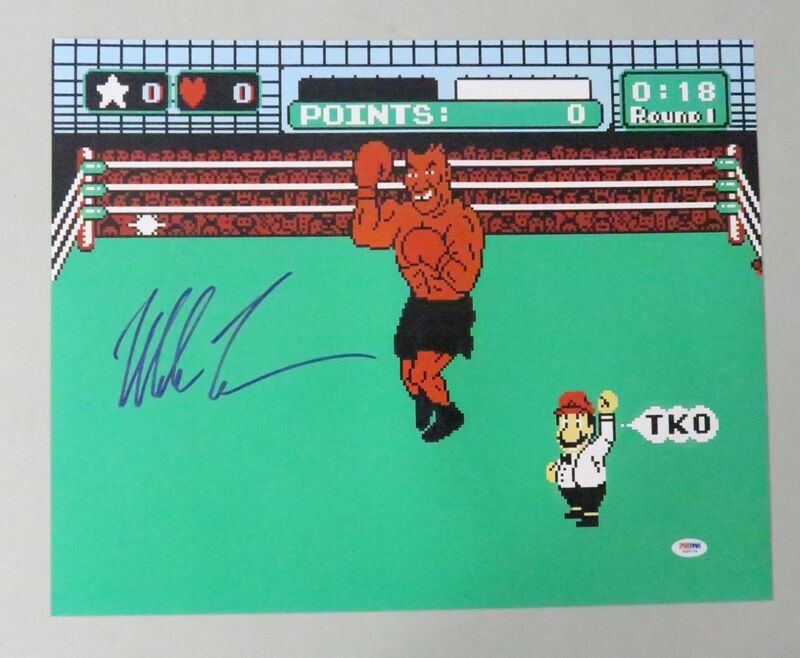 I would like to see more screenshots from classic sports video games worked into the sports memorabilia market. Finding them in packs of cards would be even better. 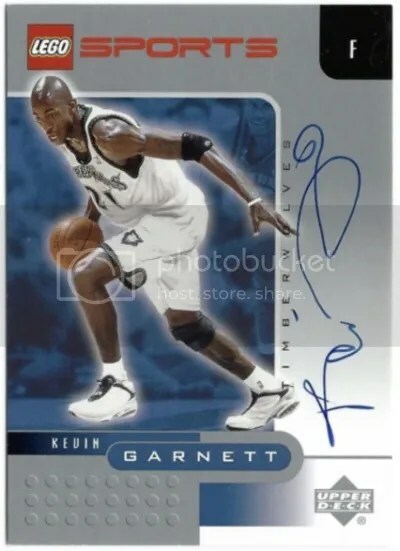 Autographed cards featuring pixelated versions of your favorite players from the games you use to play would probably be a hit with collectors. Heck, they don’t even need to be autographed. Let us take this a step further. What if you made a great play in a sports-based video game today, and could instantly order a trading card containing a shot of that play? That would be sick. Especially if they could get the athletes to sign them. Perhaps even letting room on the card for the gamer to sign too. We’ve seen cards and action figures come packaged with games, but I believe things could get even cooler.